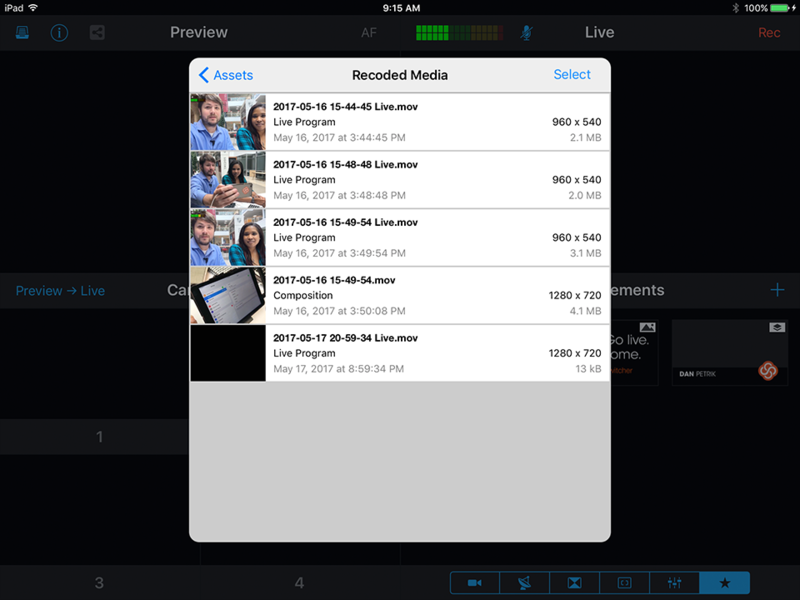 Videos created within Switcher Studio can be brought back into Switcher very easily. 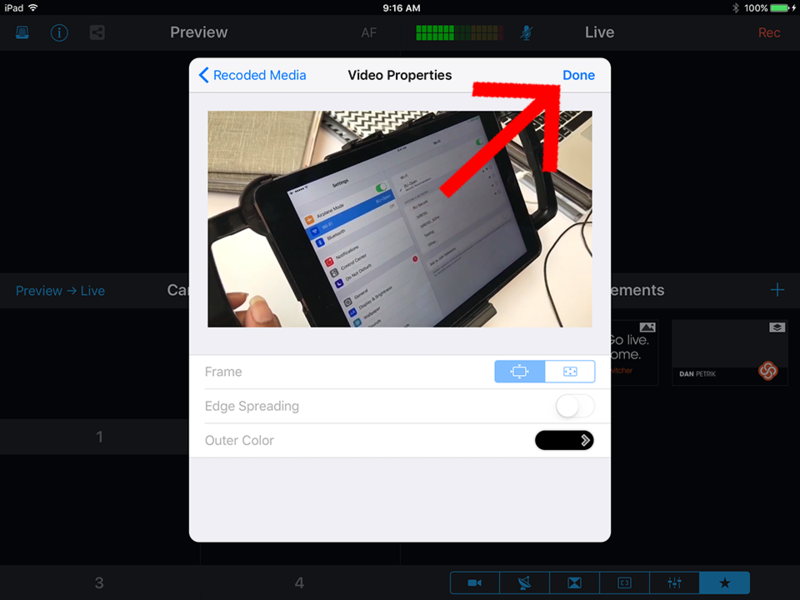 Follow the steps below to bring videos made in Switcher back into your productions. Start by tapping on the blue plus icon to open the Assets menu. 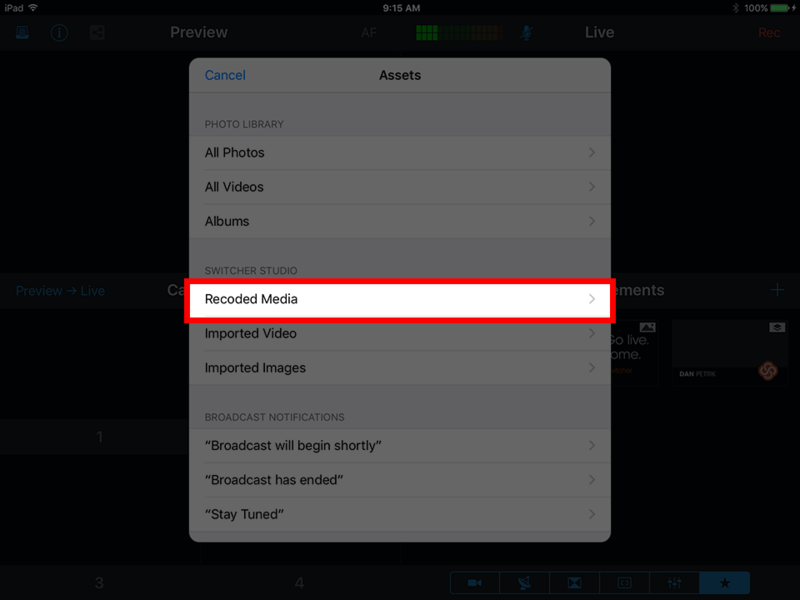 Next, under Switcher Studio, choose Recorded Media. 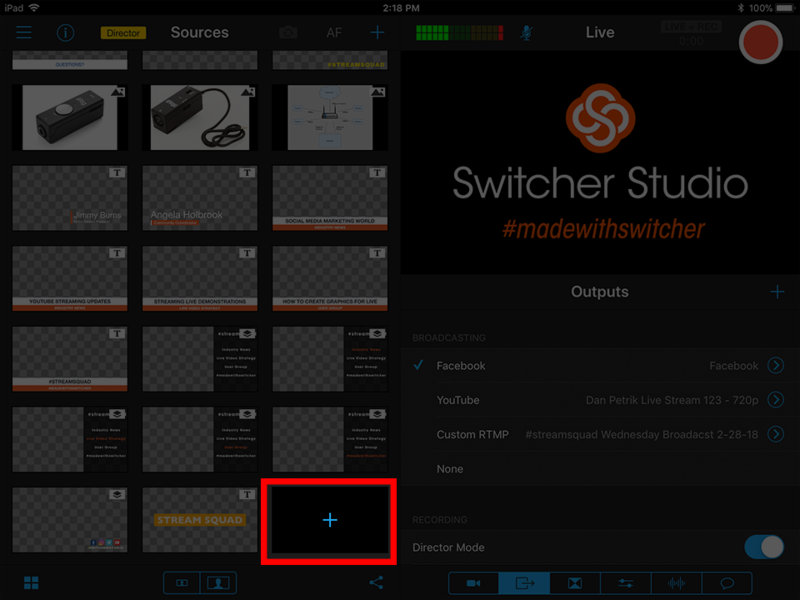 This brings up all the videos that you have already created with Switcher Studio. Select the video that you want to bring into your production. Adjust it as necessary, and then tap "Done" in the upper-right corner. Your selected video is now ready for use in future productions!